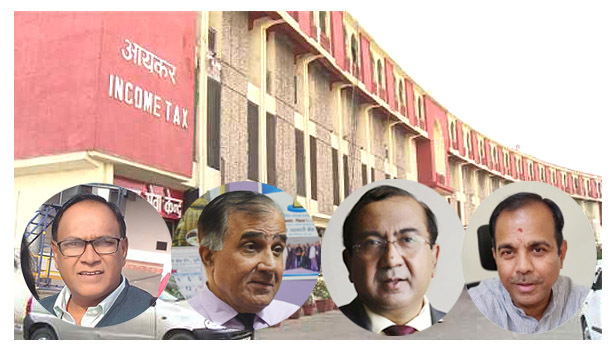 Cooperators have reacted angrily to the news that Income Tax sleuths will check uncounted cash of Coop banks suspecting UCBs and co-op banks in particular among the financial institutions of hiding black money in the build up to the Lok Sabha elections. CA Chandrakant Chougule, Vice-Chairman, Kaijs Bank says “It is absolutely wrong, cash transactions of all banks should be checked. It is observed that mostly, nationalized and commercial banks have been penalized by RBI on account of non-compliance of KYC norms. They are found mostly to be guilty rather than urban co-operative banks, he asserted. Satish Gandhe, CEO, Vishweshwar Sahakari Bankys “This may be unfair to target any particular segment like cooperative banks and societies presuming that such practice of handling unaccounted cash is only in this sector. It may happen anywhere in any economic sector. Nobody can claim and certify cleanliness of any particular sector of economy. It is true that a close watch must be kept on one and all to stop such practices particularly in the current election period, added Gandhe. Ravikiran Mankikar, Chief Information Officer, NKGSB Bank said “There are lots of controls and reporting in place so it’s quite difficult to carry out large cash questionable transactions in UCBs. In a story titled “Income Tax dept singles out co-op banks for cash-dealings” Indian Cooperative had reported how Income Tax department singled out co-op banks and co-op societies for unaccounted cash. Aghast at the Income Tax Department’s painting of all co-ops with the same brush cooperators say that there are hundreds of financial institutions including NBFCs which promote black money and singling out co-operatives is not fair.